There is a wide range of potential projects that arise any time you are talking furniture repair. Some of these projects there are simple, DIY, fix-it projects that can take care of the problem. You will want to get in touch with an experienced furiture reapir company to bring your old and worn furniture back to life for more significant issues. Use a like colored crayon, filler stik, or touch up maker to hide the blemish. 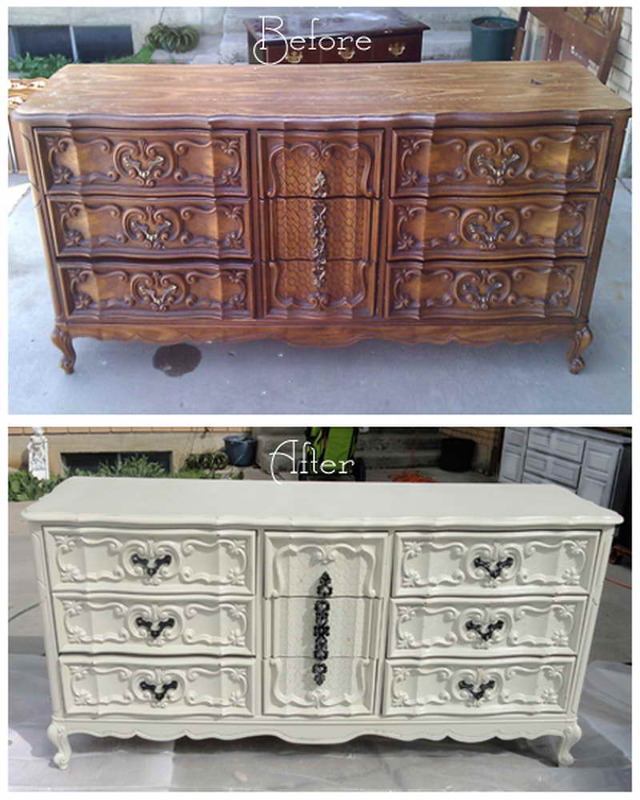 Consider re-finishing old furniture all together if you are a real go-getter. Apply a paste wax to the drawer and the slide in order to solve the problem for sticky drawers that run on wood slides. Try applying a little lubricating oil to the rivets to quiet things down if you steel framed bed is squeaky. You are probably going to have to re-glue the joints if it is a wood frame. Use a rubber mallet to knock loose all joints that are not right. Once you have got them apart, wrap all exposed spindles with thread before re-gluing the joints for wobbly chairs. You will get a tighter fit and hopely fix the problem. Classic wood furniture that has lost a bit of its original charm due to poorly applied paint or stain may also spend its time in storage rather than on display in your home. Many homeowners are familiar with the scenario of having wood furniture that would be beautiful if not for the countless scratches, dents, and dings in the finish. Furniture refinishing can make old, scarred furniture look new or different, thankfully. It can involve removing paint and exposing the grain of the wood, changing the color of the furniture to be lighter or darker, altering the hue of the finish to make one piece match another, and/or simply finishing raw, untreaded wood. 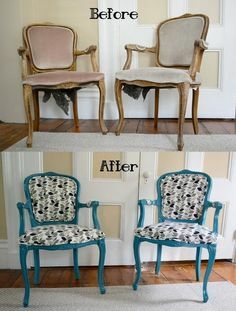 The term furniture refinishing also applies to painting furniture and applying “faux” finishes, which is the use of special paint glazes, and techniques to make furniture look like a totally different material such as marble, crackled paint, etc. Traditional furniture refinishing generally starts with performing any necessary repairs, such as re-gluing loose part or peeling veneer, replacing broken or cracked pieces, etc. Then the piece is stripped of old psint, stain, varnish and/or other finishes. After which the furniture is carefully sanded, often several times it may be bleached to lighten the wood or remove stains. Then stain, if desired, is applied, before it is finished with varnish or some other protective finish. It can be difficult for many people to tell how much restoration is too much when refinishing antique furniture can restore its beauty. Obviously, pieces that you plan to keep for yourself can be refinished, refurbished, or whatever you like to whatever degree you desire. Howeer, there is such a thing as too much restoration for collectors and antique dealers. Incredible things can be done with piece that you might think can not be salvaged, but in some cases, leaving an antique in its current condition may be your best course of action. It is a good idea to have a professional appraiser take a look at any piece of antique furniture you are planning on selling for a profit. Reupholstering, repair, refinishing furniture all require experience and skill. However, they are not always the most economical way to replace old or broken furniture. Because wood is a natural product, results may not turn out exactly as a consumer hopes, and it may not always be possible to know how furniture has been treated in the past. If a piece of furniture warrants the investment of professional refinishing, a reputable professional can help consumers decide. Often furniture does not need to be completely stripped and refnished, and will benefit from less aggressive care called refurbishing. The first step is to thoroughly clean it to remove built-up dirt and wax. It may just need a little light sanding and touch-up staining to match the original finish, with a final coat of varnish or other protective finish if most of the original finish is still intact. This is far less time consuming and costly than complete refinishing. Furniture refurbishing is frequently advised for antiques, because usually the less done the better. High end pieces of furniture refurbishing: A high original price tag does not always mean quality construction though they often go hand in hand. However, it is well worth your time to at least consider refurbishing it rather than replacing if you paid a lot for a piece. Furniture refurbishing is simply more cost-effective when the original price tag of a piece is high; unless you are absolutely sick of looking at it, that high end piece is simply too costly to just throw out. High quality construction of furniture refurbishing: There is really no practical reason to junk it when a piece is built to last. Though it may not suit aesthetic tastes, well-built furniture is always appealing to someone. There is every chance that a knowledgeable furniture repair person will be able to bring the piece back to life if wear and tear have taken their toll on its surface. Even if you do not want to keep it yourself, very well made pieces are worth refurbishing and selling again. Singular or difficult to replace pieces: A homeowner will find him or herself looking to replace a worn-out piece that is simply too unique to duplicate sometimes. That table that fits perfectly in a cramped space or that dresser with the top that lifts up to reveal a mirror can not be found just anywhere! If you find that you will miss certain characteristics of a piece and you can not find a replacment that fits the bill, there is a good chance that furniture refurbishing is your best option. You could of course, hire a custom builder to duplicate a unique but worn out piece, though the cost of refurbishing is typically significantly lower. Sentimental value pieces of furniture refurbishing: There are pieces that have been handed down to you or remind you of special event or particular period in your life are irreplaceable. It may be worth the cost of refurbishing to keep these piece around even if they are not of high quality. Here, you might consider doing the job yourself. Though you might not be able to do the same quality work as a professional, the extra character a handed down piece gets when you do the work yourself may even add its charm. Vintage or antique furniture refurbishing: Does it carry certain characteristics that are primarily associated with a particular time period? Is the piece in question more than 50 years old? If so, there is every reason to opt for furniture refurbishing! There are others out there who seek out such pieces, making them easy to sell if they are in good condition. It should be noted, however, that certain antiques can actually lose value when refurbished. Refurbishing antique furniture is sometimes a double edged sword. While the refurbishing process may make a piece you inted to keep more attractive and increase its function, it can actually detract from its value. Some antique collectors prefer to buy pieces that have not been altered, and since these are the people will need to please when you sell, any antique you plan to auction should probably be left as-is. However, if you plan on keeping it and using it as a practical part of your home, it is often a good ides to have any antique you plan on refurbishing professionally appraised since refusbishing antique furniture is a good idea. While this appraisal will carry a price, altering a piece that could have been worth thousands if left alone is a risk that most would rather not take! Now, you can make the decision what you should do on your furniture.